The Le Vian name has been associated with the world's finest jewellery since the 15th century and is now worn by Hollywood celebrities and the glitterati. 14ct Vanilla Gold 76pt Vanilla Diamond and Sea Blue Aquamarine ring. Matching Band: 9758429. 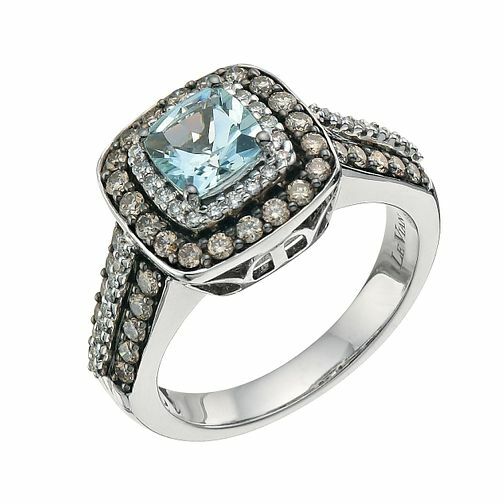 Le Vian 14CT Gold 0.76CT Diamond & Sea Blue Aquamarine Ring is rated 4.9 out of 5 by 24. Rated 5 out of 5 by Anonymous from Engagement ring My boyfriend proposed to me with this beautiful ring, its absolutely stunning!